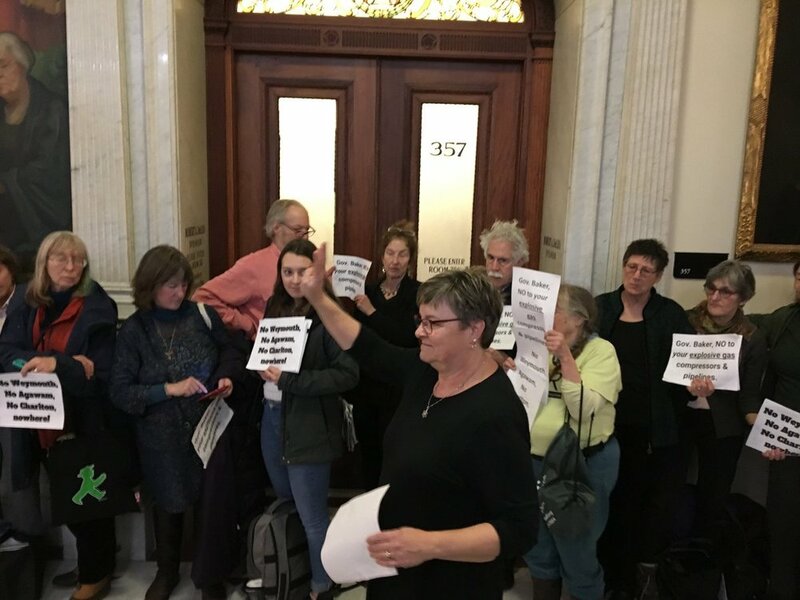 Alice Arena, a Weymouth resident and member of FRRACS, gathered with local community activists at the State House today to get Governor Baker’s attention. Governor Baker’s aides continue to insist that he “doesn’t meet with constituents”, so we are left to wonder: who does he meet with? Execs from Enbridge? We deserve to know AND we deserve to have an opportunity to speak with our governor. Many thanks to everyone who joined us at the State House and who have supported us in this fight!